For those of you who were married this past year we know a lot of you plan to gift your parents with photos from the wedding – and perhaps you are trying to decide where to design your photo book for your parents? 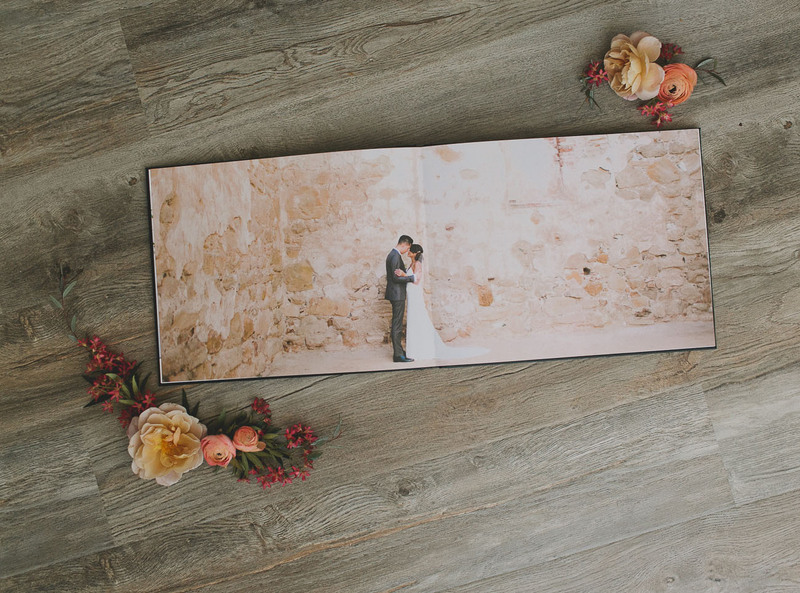 Well, let us suggest checking out Shutterfly to design your photo album! 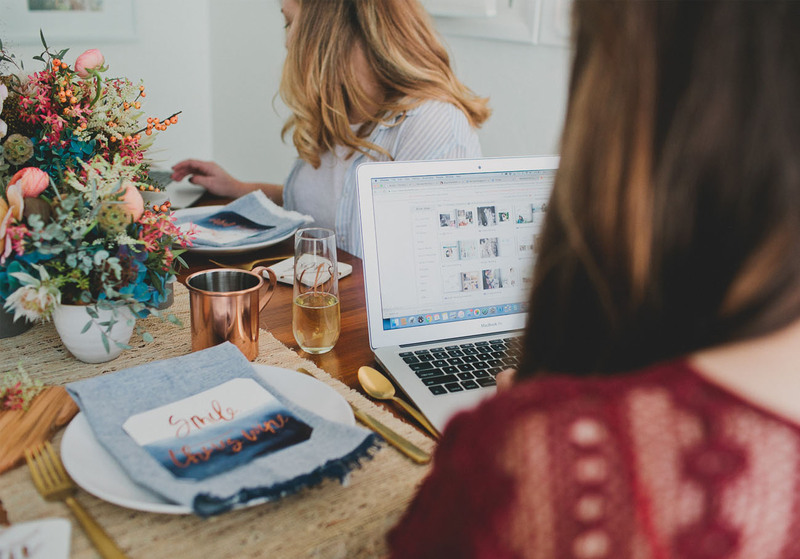 And since we know that starting the album design can be the hardest part – we thought that the idea of throwing a party with your best gal pals to get started on the album together would be the best idea! So, how does that work? Well, we invited a few of our best gal pals and invited them to come over for some cheese, wine, good tunes and get started on that album! The best part? 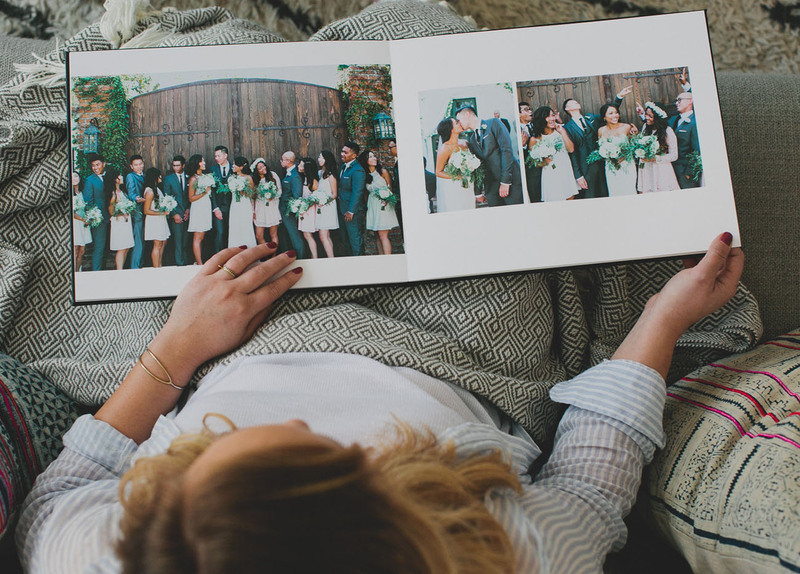 Even if your friends didn’t get married this past year, everyone loves having printed albums of their fave photos from the year, so it’s a great excuse for anyone to create a stunning album! We asked everyone to bring their own laptop so they each had access to their photos. 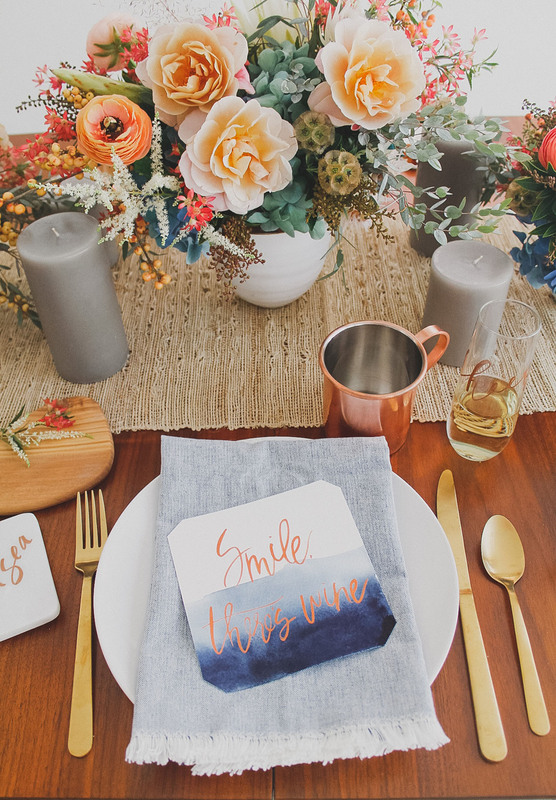 For the artsy lady, Shutterfly offers complete customization… But if that seems daunting, they also have pretty pre-set designs! 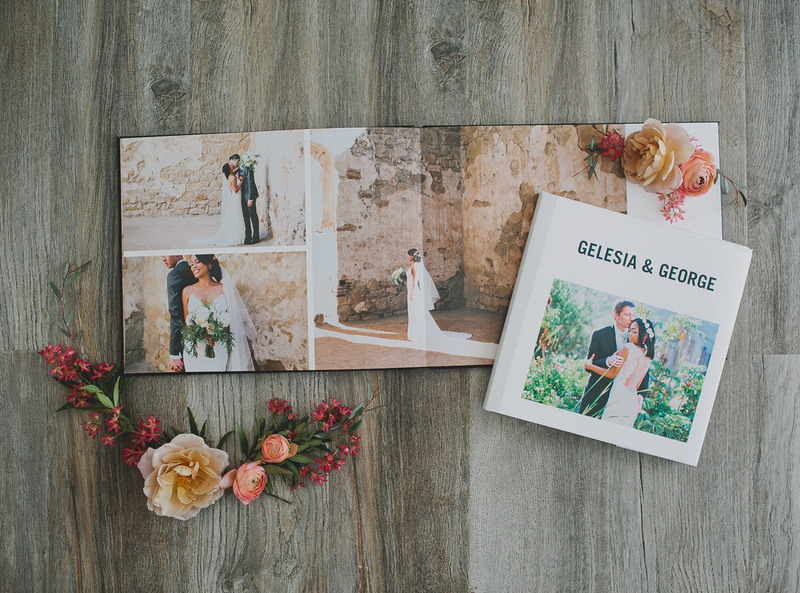 These photo books are perfect for those that are recently married, OR as a gift to the parents of the couple! 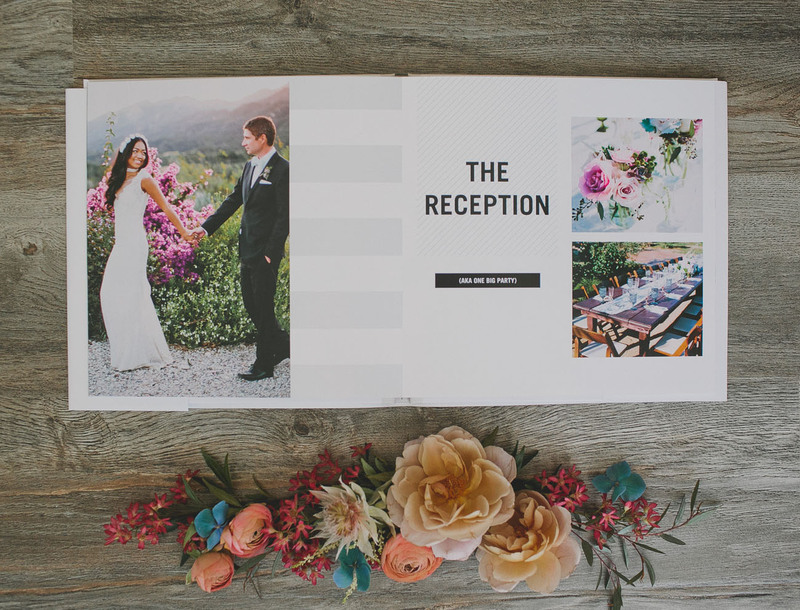 The Make My Book service on Shutterfly allows the gal on-the-go (who doesn’t have time to sort through images and map out the whole story of her special day) an easy + breezy way to create a beautiful wedding album! 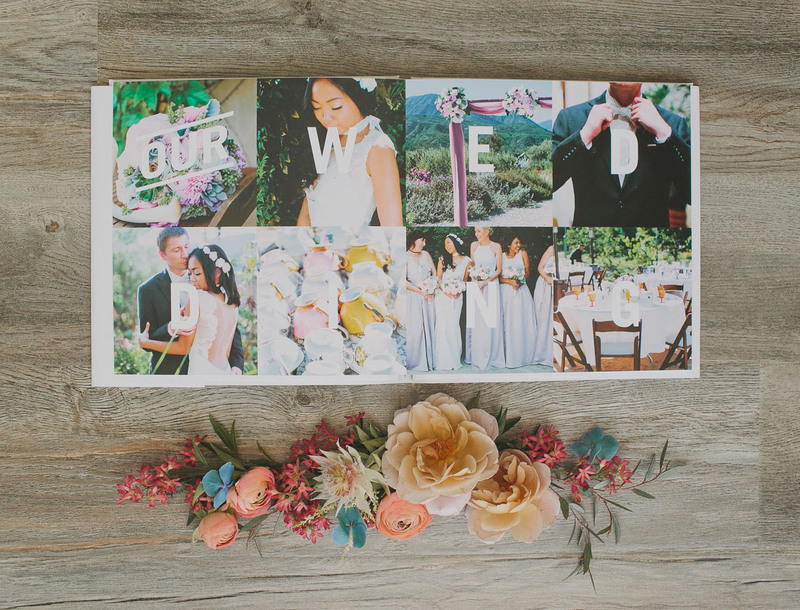 Below are two of the albums we designed – the open spread is using the Modern White template and the other album uses the Wedding Collection: The Big Day template. Super pretty right? And that full page bleed with the flat lay pages is GORGE in person!! 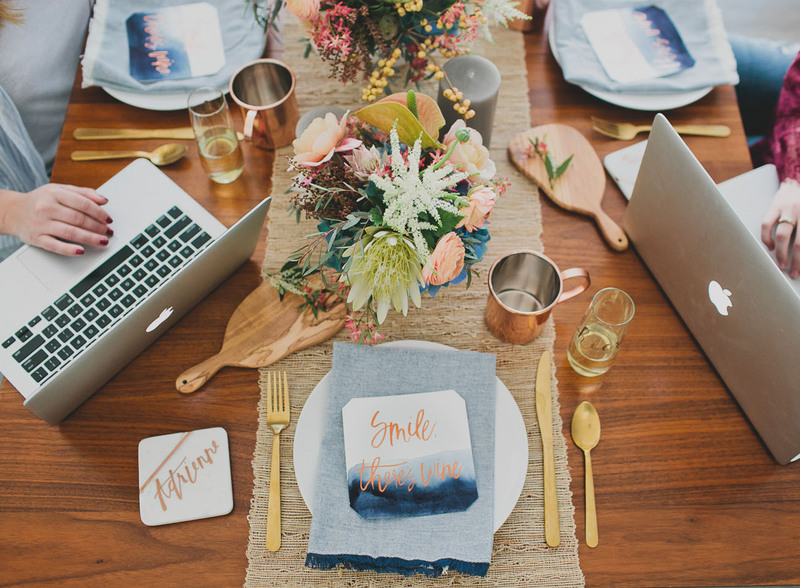 From super classic designs to this more modern + playful one, Shutterfly has options for every style! 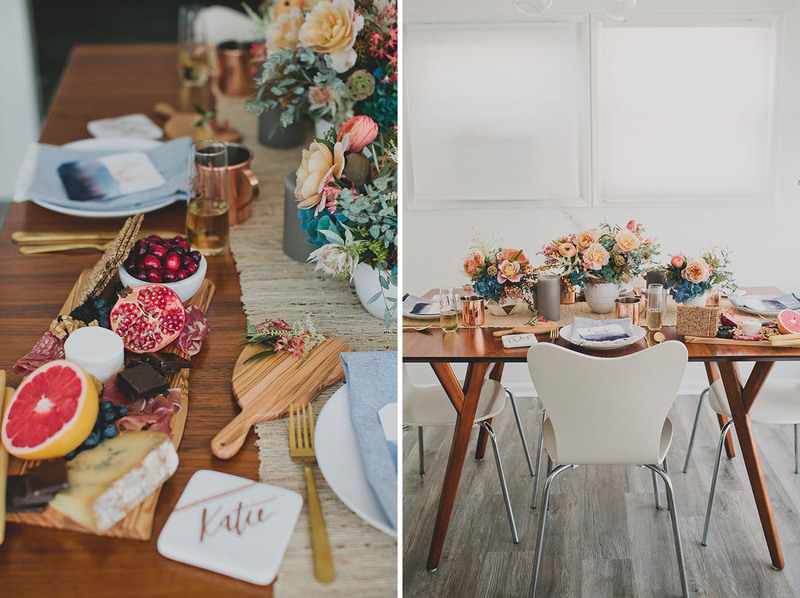 So now that you see those gorgeous albums you can design for yourself or your parents, let’s take a closer look at some entertaining ideas for this party you are going to throw to help get everyone started on their albums! 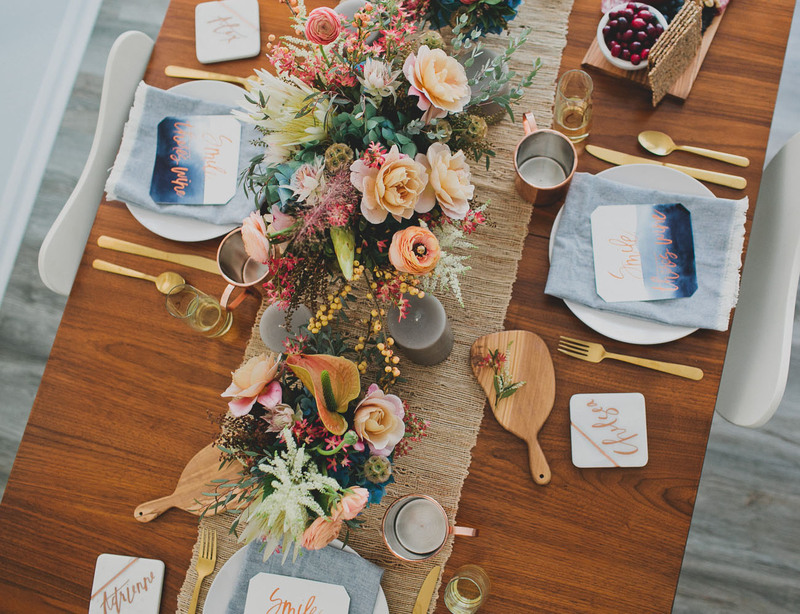 Looking for a simple, yet gorgeous way to create a tablescape? 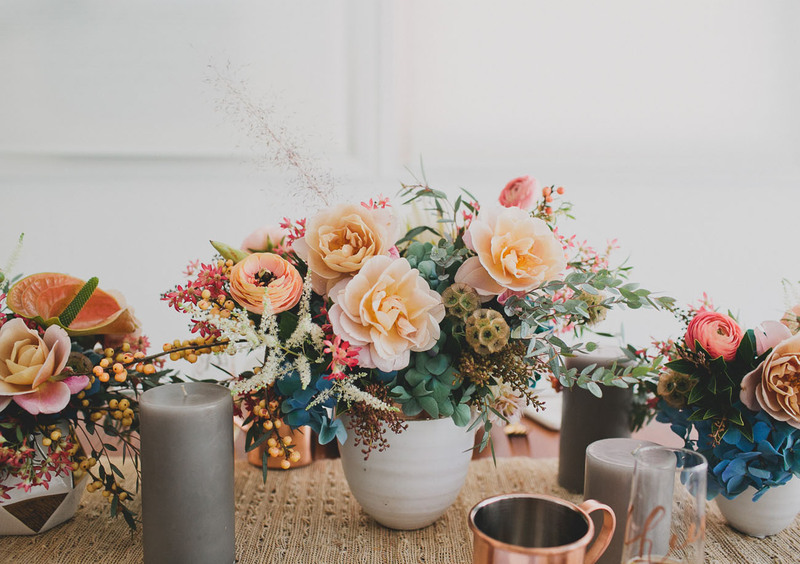 Add some copper mugs, gold dinnerware, mini cheeseboards, candles, marble coasters along with some gorgeous blooms! 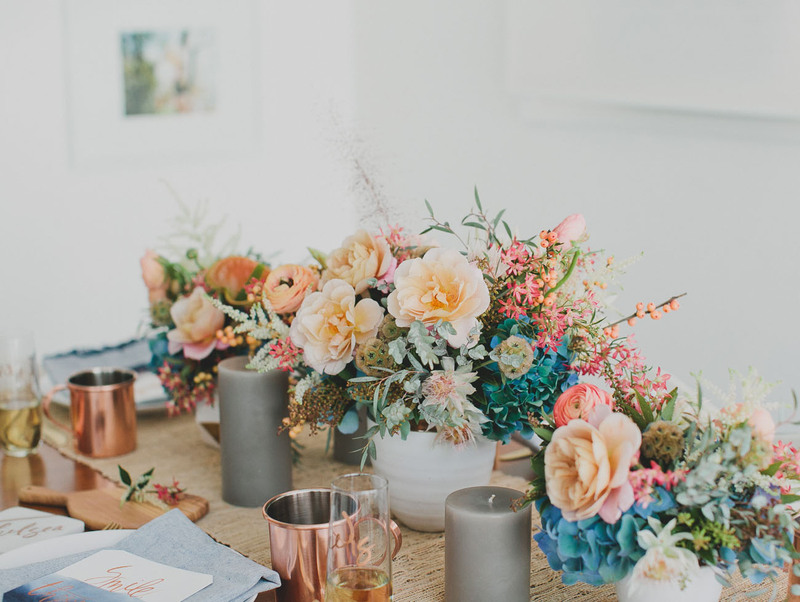 Those gorgeous florals are by our talented friend The Bloom of Time. If you aren’t able to work with a florist, we suggest picking up a bunch of blooms from your local grocery store or flower store (we always have lots of luck at Trader Joe’s or Whole Foods!) and put together your own arrangements for the night. Tip #2 – The Food + Drinks! 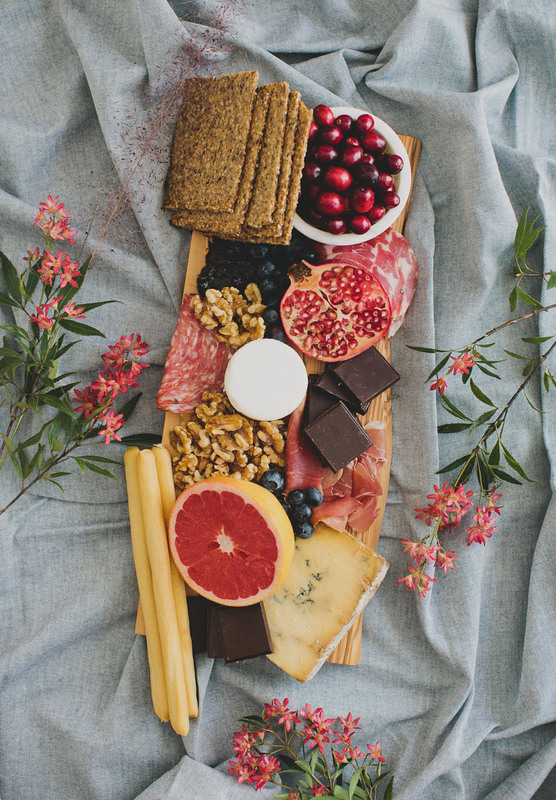 Can you say cheeseboard goals?! The trick to a good cheeseboard — make sure it’s brimming with goodies, both savory + sweet. 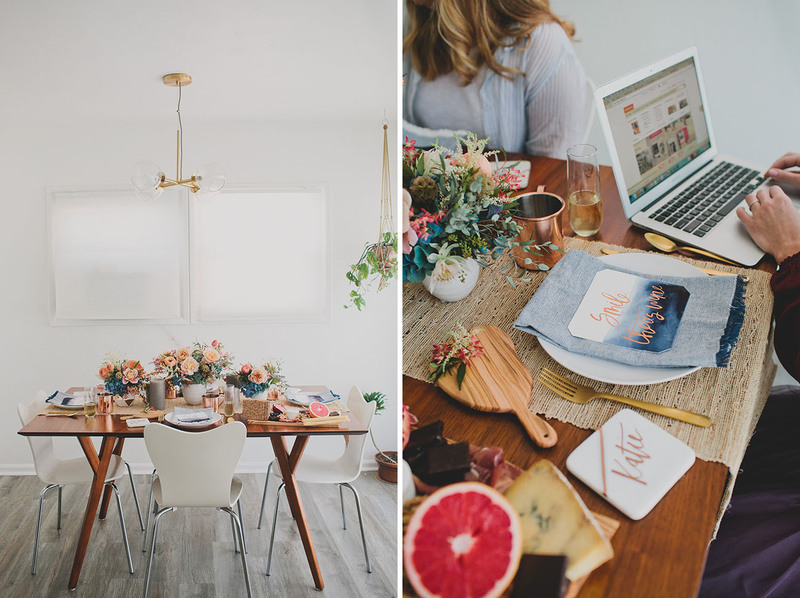 And did you know Shutterfly carries cheeseboards as well? 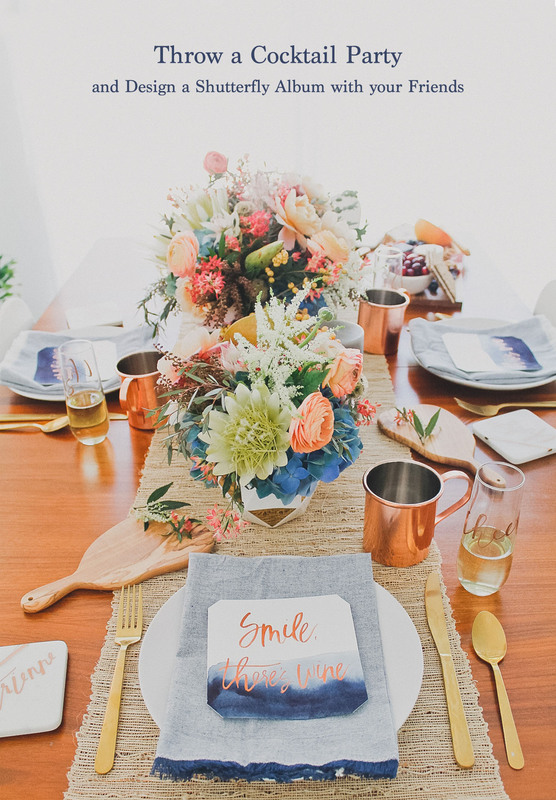 We love that they can be personalized – would make a perfect hostess gift! 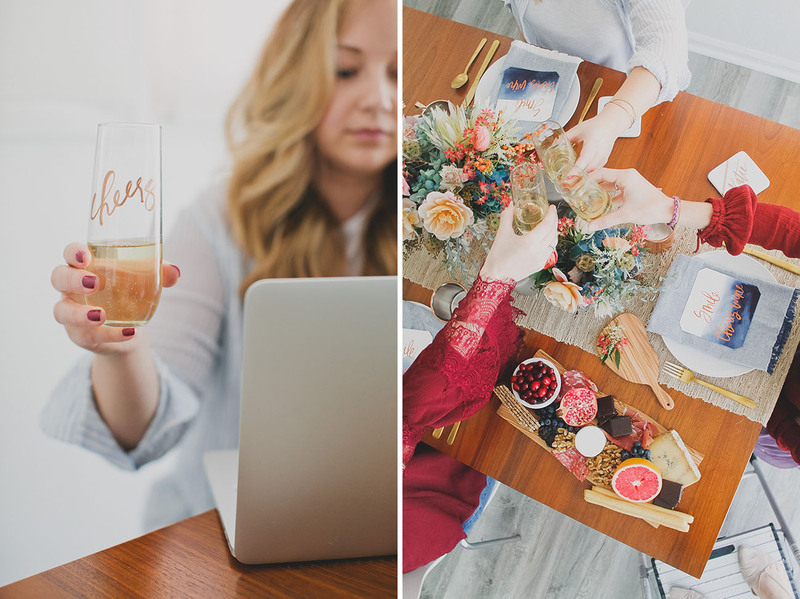 We also served wine in our cute Cheers glasses that we DIY’d (well with help from our friend Goodheart Design)! 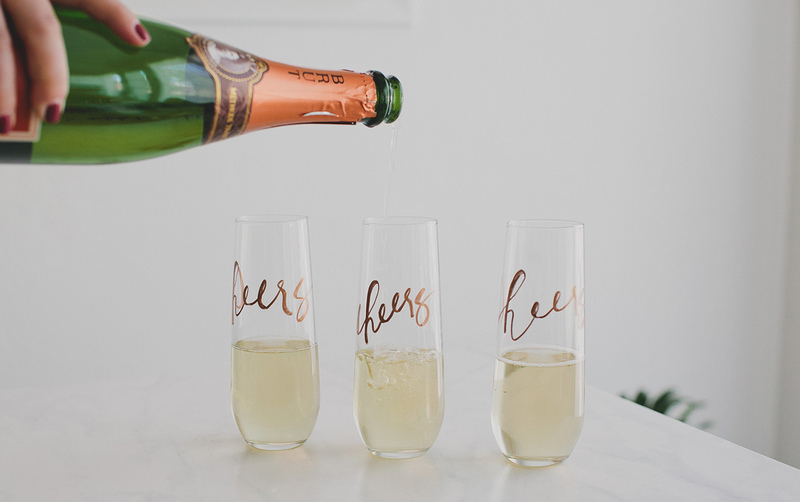 These would be fun to DIY in advance for your next party and makes drinking your bubbly a bit more fun, right?! Tip #3 – Making Your Shutterfly Photo Book! The best part about designing your album with friends? You can get their opinion on layouts and photo choices! :) And did we mention how easy it was to create our albums? Hello drag + drop!! Even if you don’t finish the book while you’re hanging with your friends, you’ve made good progress + it’s easy to save and finish at home! The hardest part is finding time to start so hopefully you’ll have finished but if not, you’ll have a great start! Aren’t these cute?! 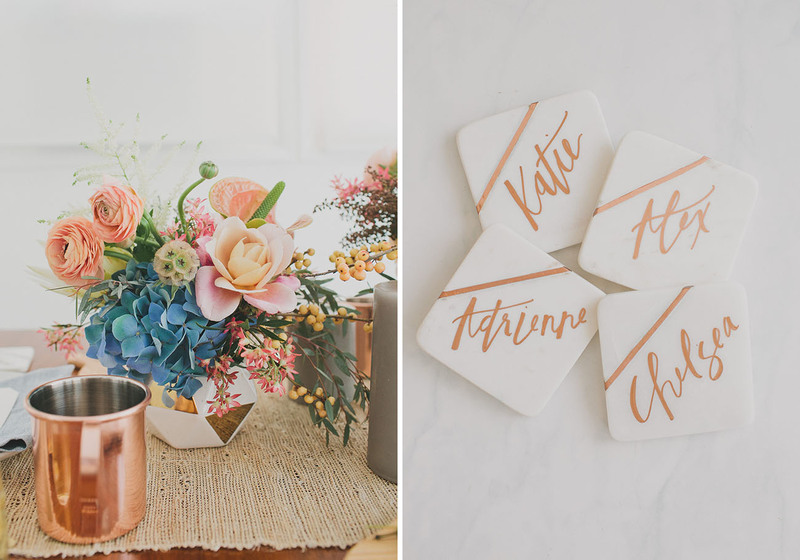 We found marble coasters and had Goodheart Design add the copper calligraphy – a perfect idea for a gift for your gals to take with them! You can even make photo books via the Shutterfly mobile app — however, for the premium albums that get a little fancier, the interface and experience is much better on a laptop or desktop! How fun was that?! Now who’s up for a cocktail party with their gal pals and creating a gorgeous album?? We’d love to see what you come up with! *This post is sponsored by Shutterfly. Thanks for supporting our sponsors! Love to see these types of style, it’s different from others..